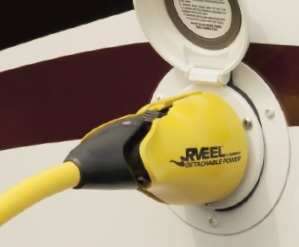 The RV EEL (Easily Engaged Lock) Detachable Cordset has a patented, industry first, jaw-clamp design providing one-handed operation and a secure waterproof seal which completely eliminates the need for a locking ring. 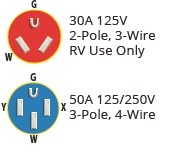 The RV EEL connection is built for the harshest environments and is UL approved. 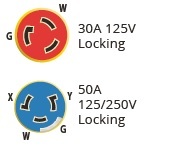 Best of all, it works with your current inlet. 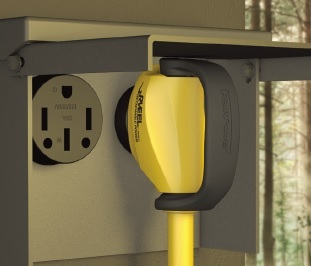 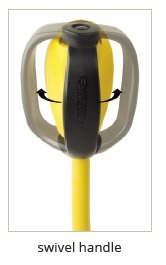 On the plug end of the cord, ParkPower has added a large grip handle, that provides a safe connection and is movable so the electrical box can be closed. 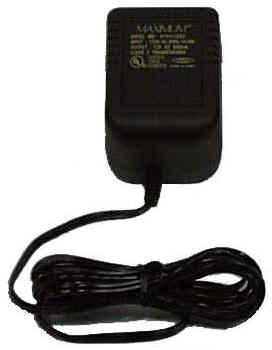 In addition to cordsets with the RV EEL System by ParkPower also has a full set of pigtail adapters all using the new RV EEL technology.